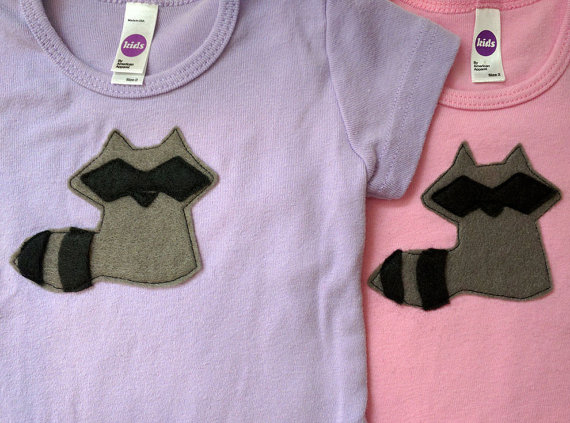 Sweetly Decorated Onesies with One-of-a-Kind Designs. Handmade & Carefully Sewn Felt For Fashionable Babies. Everyone needs a creative outlet, and that's often how many crafters get started. The lucky ones develop a concept or style they think people will enjoy and have the courage to share their work with the world. Clairissa of Clairissa Bear Crafts is one such artists who finds joy and creative fulfillment in sewing, using techniques her mother taught her many years ago. For Clairissa, the detail in her craft is what makes it most unique. Once inspired by a child friendly design, be it from a coloring book or other crafters online, she carefully cuts colored felt into the requisite shapes. She then prepares to sew them on to soft cotton onesies. Thanks to her mother's love of quilting, Clairissa is very adept at maneuvering fabric through a sewing machine to tack down the outline of each felt design. She commonly works with simplified block versions of each animal or toy she depicts, but that may make the sewing sound deceptively easy. She never overlooks the fine details, and each one turns out so cute (and ready to withstand the wear of a child). My favorites out of Clairissa's current collection are the dinosaurs and raccoons! She chooses such fun color combinations, and the care with which she makes each onesie really shows! As a fellow part time crafter, I admire her brave step into the artist community, and I can't wait to see each new design. While she doesn't have children herself yet, when she does, they will all be adorably dressed!